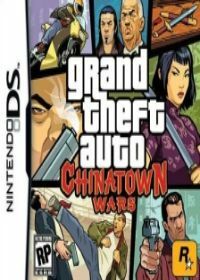 GTA is not only represented by Sonys Handheld console but also on Nintendos - Nintendos DS. Grand Theft Auto has placed under evidentiary that you play the game on the way. But now with the "two screen" system the player of GTA get otherwise offered. Of course we have collected the Cheats on the Nintendo DS published GTA - title. That Grand Theft Auto can convince also on Nintendo DS you could not believe. But who have tried could determine that Rockstar Games has made us to suprise with an entertaining game. In GTA - Chinatown Wars you can find 12 active cheat codes. GTA - Nintendo DS Cheats isnt the correct gta cheat code you are looking for? Use search to find yours.